Social networks rely on photos as a means of communication. Where have you been? What have you been doing? Who are you with? Now Google+ users can now look a little better doing whatever with whomever, thanks to a free photo editing suite called Creative Kit. It unexpectedly arrived a few days ago, and brings a range of options that easily makes it among the most powerful web-based photo editing suites 5 Really Powerful Online Image Editing Tools 5 Really Powerful Online Image Editing Tools Read More available for free. 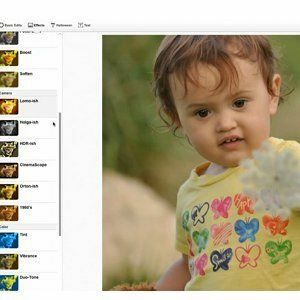 Users can rely on the “auto-fix” feature to enhance photos or dig in and adjust exposure, sharpness and colors manually. If you’re thinking this sounds a bit like the editing already available through Picasa, then you’re on the right track. Picasa offers the stand-alone Picnik service for photo editing (which is owned by Google), and it appears as if the new Creative Kit shares many interface elements with Picnik. However, the two tools offer a slightly different selection of effects, and the Google+ suite has kicked off its introduction with Halloween-themed effects and stickers that aren’t found elsewhere. The Creative Kit can be accessed by opening a photo in Google+ and then navigating to the Edit menu, which is where the new tool hangs out. If you’d like to merely auto-fix your photos, you don’t even have to open the tool, as there’s an option for that available in the edit menu. Explore more about: Google Plus, Image Editor.